In 1994, MAC Cosmetics released a product that was revolutionary and became an integral part of the brand’s identity: Viva Glam Lipstick. 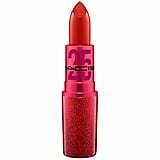 The lipstick was a deep-red hue and a collaboration with drag queen RuPaul to promote the new shade. 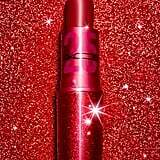 But that wasn’t the unprecedented part: the brand also donated 100 percent of the proceeds from each lipstick to the MAC AIDS Fund to improve the lives of those with HIV and AIDS. In honor of the line’s 25th anniversary, the brand has something extra special planned. For this year’s lipstick hue, the brand is bringing back the OG shade that started it all — with a twist. 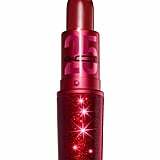 Fans will be able to shop the original red matte lipstick in a sparkly collectible tube. In addition to the lipstick, MAC brought the RuPaul campaign back to life with model Winnie Harlow in the drag star’s place and with a new mission. Now, not only will the lipsticks support those with HIV and AIDS, but the cause has expanded to include the LGBTQ community, women, and girls. While the brand will continue to honor 10 historical grantees with $25,000 each, they will also donate to new organizations like Planned Parenthood, GLAAD, and Girls, Inc. Since the HIV/AIDS epidemic has greatly improved since the ’90s, the brand wants to expand its mission to continue to support the world’s most vulnerable and marginalized people. Over the years, MAC has teamed up with many legendary celebrities to create their own limited-edition Viva Glam colors to raise money for AIDS and HIV — including Nicki Minaj, Lady Gaga, Ariana Grande, and many more. 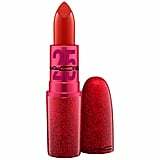 To date, MAC has raised over $500 million throughout Viva Glam’s history. Check out the throwback product ahead.